Winter 2019/2020 – departures November 22, 29; December 6, or 13. Prices per person based upon 2 people sharing twin/double rooms. All prices are based upon RoE of €1.15 = £1 and are subject to confirmation at time of booking, as are exact train times. The towering spire of Cologne’s Gothic cathedral is echoed by the narrow, lighted Christmas tree at its base. Arranged around the tree, 160 lighted stalls lure Christmas shoppers with hand-crafted goods (in some stalls, you can watch artisans working), and holiday treats like mugs of steaming glühwein (mulled wine) or glühmost (hot apple cider) paper cones of roasted chestnuts, marzipan sweets, cakes and cookies. 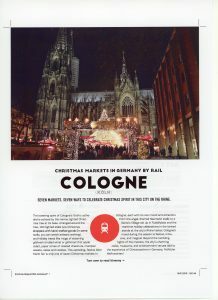 This sprawling, festive Alter Markt is only one of seven Christmas markets in Cologne, each with its own mood and attraction. From the angel-themed Neumarkt stalls to a Santa’s Village set up in Rudolfplatz and the maritime holiday celebrations in the tented stands at the city’s Rhine harbour, Cologne’s mood during the season is festive, inclusive and magical. 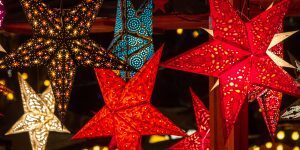 Beyond the twinkling lights of the markets, the city’s charming cafes, museums and entertainment venues add to the experience of Christmastime in Germany. Fröhliche Weinachten! Depart London St. Pancras at 10:58 on Eurostar service to Brussels, arriving 14:05. Depart for G ermany at 14:25 for arrival in Cologne at 16:15. Check into your choice of hotels, Domstern *** or Excelsior Ernst ***** for 2 nights’ stay with breakfast included. 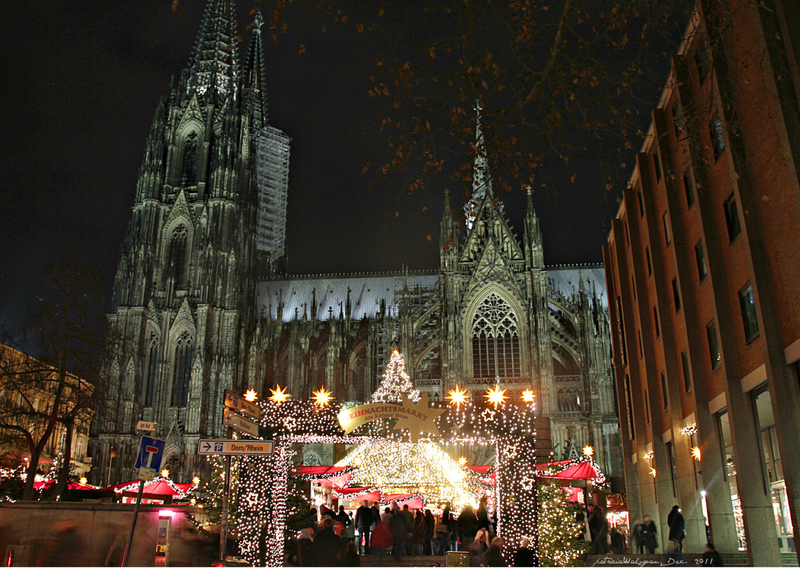 Enjoy breakfast and then spend your free day exploring the markets and streets of Cologne. Later departure times are available on both legs of the journey – from London St. Pancras, a 15:04 departure gets you to Cologne at 20:15; a 15:42 departure from Cologne returns you to London at 19:57.